As qualifying is expected to be entirely dry, the wet-dry FP3 session posed an unrepresentative display of performance in Australia. With wet tyres being the preferred choice at the start of the session, the sun made it possible to switch to slicks towards the end of the session, enabling Vettel to top the timesheet with a late run on softs. Just a few minutes into the session, after nearly all drivers had completed a number of installation laps on the wet tyres, McLaren's Fernando Alonso led the switch to intermediate rubber. In fact it was almost 20 minutes before Renault’s Nico Hulkenberg became the first man to set a lap time. In the mixed conditions, Alonso held top spot for McLaren until Bottas surpassed him. 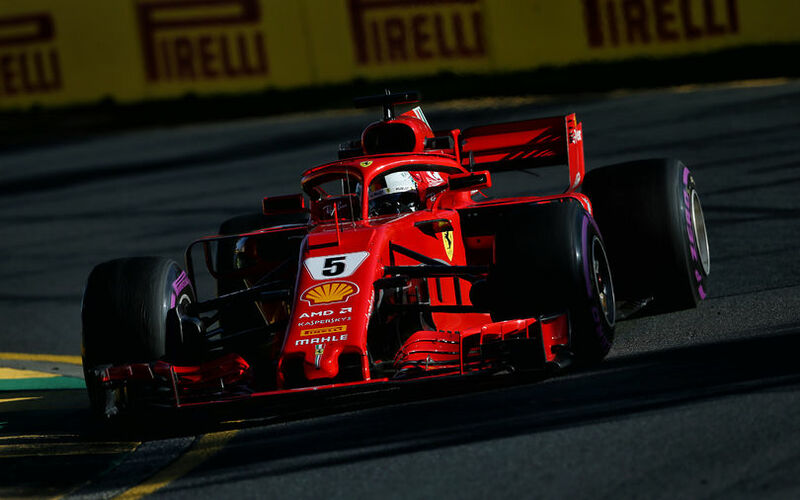 The difference was small nonetheless until Vettel was the first to risk a switch to slicks around 15 minutes from the end of the 60-minute session. As times tumbled, Vettel eventually topped the times thanks to a very late run, enjoyed the best track conditions of the session. In sharp contract, both Force India drivers opted to stay inside, having completed just a single installation lap in the beginning of the session.